MOSCOW, March 22. /TASS/. 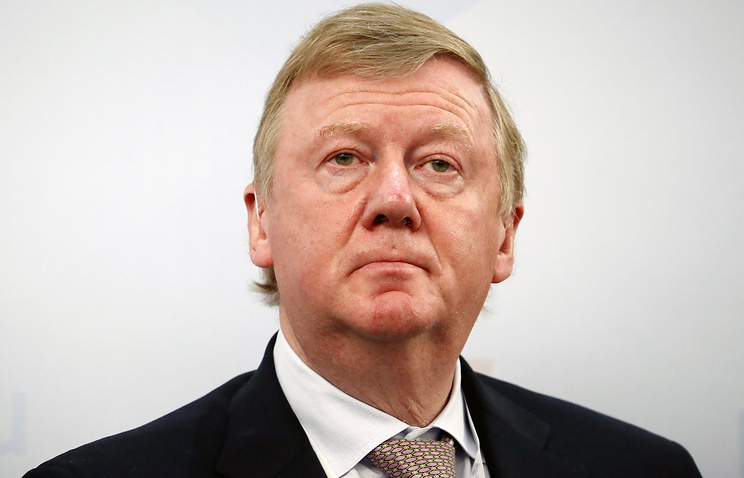 Anatoly Chubais, head of the Rosnano company has become one of those who vouched Michael Calvey, founder of the Baring Vostok investment fund, who was arrested on charges of embezzlement. Chubais announced it in an interview with the Rossiya 24 TV channel. "For the Russian business, he (Calvey - TASS) is a very respectable person with an impeccable reputation," he said. "Bringing the arbitration conflict to the criminal court seems extremely strange and unacceptable to the Russian Union of Industrialists and Industrialists. That is why, I was one of those, who vouched for Mr. Calvey, submitted a letter of recommendation for him to the court. There are grounds to hope that a fair solution will be found in this case," he said. Earlier Russian business ombudsman Boris Titov called Calvey’s detention illegal, noting that the situation was a "purely corporate dispute." Numerous representatives of the Russian business vouched for Clavey and his partners. Baring Vostok is one of the largest private equity firms focusing on Russia and the CIS with $3.7 bln in capital. Russia’s Investigative Committee launched a criminal case into the embezzlement of 2.5 bln rubles ($37.5 mln) from the Vostochny Bank on February 13. Michael Calvey is the key defendant in the case. Calvey and five other persons related to Baring Vostok were arrested on February 15. They are all facing charges under part 4 article 159 of Russia’s Criminal Code (Swindling committed on a large scale by an organized group). 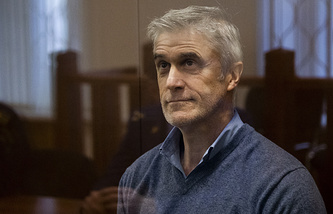 According to the investigation, Calvey and his accomplices put together a scheme, where the "First Collection Bureau", under their control, waived its right to a 59.9% stake in a Luxembourg-based company called the International Financial Technology Group (IFTG), to the Vostochny bank to pay it back for a 2.5 bln-ruble debt. Before the deal, IFTG’s shares were valued at 3 bln rubles. However, the investigation is examining another estimate of 600,000 rubles (according to a Cyprus-based company’s valuation). That said, the Central Bank claimed that the price of these shares was close to zero, the investigator noted.